Winter in Elmira is finally over and it’s time to gear up for the warm weather months. 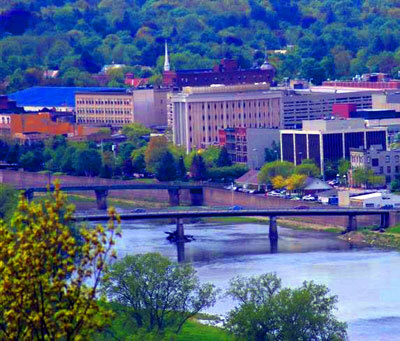 Being that Elmira is located in the “heart of the Finger Lakes” region, the city attracts a steady stream of people from around the surrounding area, as well as, tourists. The locals in Elmira welcome all of this people traffic, especially the businesses. However, with warmer weather there are more opportunities for the criminal element to try and take advantage of good people. Homeowners and businesses often fall prey to sneaky thieves that exploit vulnerabilities in security. While it is easy to think that breaking and entering robberies only happen to other people that type of thinking can lead to becoming a victim of crime. Crime happens each day to anyone, and it always takes victims by surprise. No one in Elmira wants to have their money and valuables stolen. But, the reality is that someone inevitably will be on the bad end of a robbery. Hopefully, it won’t be you. Teledair is one of the area’s top security system companies that make it our business to protect other people’s valuable property. Our security systems are located in local Elmira homes and businesses. As a matter of fact, we’ve installed updated burglar alarms in Hesselson’s in Elmira Heights. Hesselson’s may offer some crazy deals on their merchandise, but they certainly are sane when it comes to protecting their business. It’s better to be safe by having the latest alarm technology than sorry. The good people at the Elmira Salvation Army collect goods to serve the people of Elmira. However, even they realize that opportunists will steal from charity when given the chance. That is why they had us install a state-of-the-art burglary alarm and camera system. Protecting your Elmira home is just as important and that’s why Teledair features home alarm systems for Elmira that can be set up to protect what you hold most dear. We specialize in modern burglary alarms and security systems that cater to the needs of each customer. Even in such a great place like Elmira, homeowners often worry about break ins. Research shows that homes with advanced alarm systems are more likely to be passed up by criminals than unprotected homes. The best time to update security for the home or business is right now. Along with the spring cleaning tasks why not consider upgrading your security? If you have any questions about Teledair alarm systems, simply contact us to set up a no obligation consultation. We’ll spring into action to ensure the safety of Elmira citizens.